How did Jesus live the ‘Our Father’ when he was on the Cross? It is a lovely scene. I can imagine the disciples, probably the twelve with some others, and they might have had a picnic in the sun; some might have been sucking on pieces of grass, others resting in the shade of some bush, or tree; others chatting while Jesus was praying, perhaps sitting quietly, or standing – even kneeling. 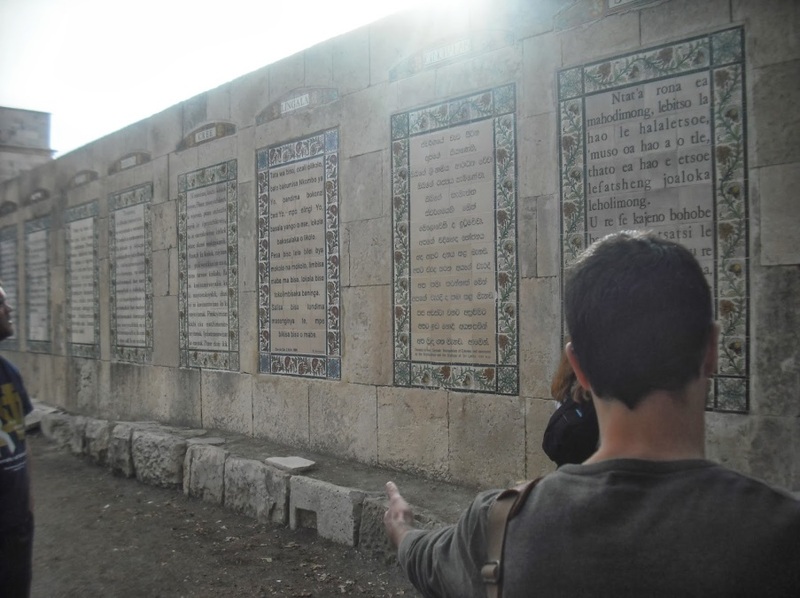 If one goes to the site of the presentation of the ‘Our Father’ it is on the Mount of Olives, and the place where Jesus was praying, is in a kind of cave. What it was like two thousand years ago must have been very different. Nowadays, it is in the compound of a large Carmelite Convent, and there is a huge Church, on the walls of which, is the famous ‘Our Father’ written in almost every language imaginable. Unfortunately, it is almost impossible to eradicate the image below from one’s mind and go back to the pastoral scene in which Jesus prayed and taught. where Jesus taught his disciples how to pray. Those disciples were impressed by Jesus praying, and so they asked him: “Lord, teach us to pray just as John taught his disciples.” I think one of them might have been Andrew, as he was a disciple of John the Baptist, before knowing Jesus. I think John the Baptist and Jesus were probably very similar – even though John is often portrayed as ‘fierce’, as he deliberately dressed like a prophet, wearing clothes of camel hair tied with a leather belt round his waste. John used strong language to the Pharisees and Sadducees who came for baptism: “You brood of vipers!” (Mt 3:7). Jesus also used the same phrase to the Pharisees (Mt 12: 24). I think both John, and Jesus, were very straight-forward, uncomplicated, highly intelligent men, whose hearts were pure and ‘straight-to-the-point’ as both knew God was with them. They saw the hypocrisy of these Jewish leaders and had the strength to criticise them openly. I wonder if Jesus was helped to formulate the extra-ordinarily full, yet succinct prayer, the ‘Our Father’, with the help of John the Baptist’s prayers. I also wonder at Jesus on the cross and ask: “How did he pray that prayer?” It is such a calming and satisfying prayer. I remember, once, feeling in turmoil, spiritually, and going for a walk, alone along the River Mersey from Otterspool to the Albert docks, and back, a walk of over an hour and a half; in the process, I found myself praying the ‘Our Father’ once only. Each phrase took many moments to absorb and to fill out with meaning. I was at peace by the end of that walk. Interestingly, just after this, Jesus said something that comes from the depth of his being – something that, perhaps, leads back to that faith which is hope beyond all hope: “Father, into your hands I commit my spirit.” (Luke 23:46). My conclusion is that, in the single person of the Word of God on the cross, is the unfathomable mystery of our humanity. That is why it is our redemption. More importantly than pondering and understanding, it calls for loving – loving Jesus – loving God in all his unfathomability – perhaps a good exercise for Lent? Certainly, it leads us to the Kingdom of God prayed for in the ‘Our Father’, where creation lives in harmony and union with God. Enya, as many of you may know, is a beautiful Irish lady; a composer, song-writer and arranger, she has a unique way with a song – especially with music of her own composition and arrangement – and most especially with music that is essentially Celtic in character; she is easy to listen to and her music is quite charming. You can tell I am a fan! The questions asked by the words of this verse, and by the other three verses are difficult, if not impossible, to answer. Questions which ask about the future, about many things that touch the emotions, and about those aspects of our lives founded other than on the reality and the physical, often occupy our minds and cause us frustration when we cannot come up with a solution. We human beings do not have the powers to see into the future; we do not know what the next minute, hour or day may bring. Often, we do not know what causes us to act in a particular way towards another; the results of our action may be good, or bad; furthermore we do not know how the other will react to the stimulus of our actions – again, they may be good or bad. There are so many things we cannot foresee, or control, when it comes to our relationships with other people – but often the good, or bad, will depend on whether our actions – or those of the other – were initiated by love in our hearts – that, or the lack of it. I think it is true that we are often puzzled by the Spirit of God – and what He does. We believe, from faith, that He is the third person of the Blessed Trinity. Christians all over the world are constantly repeating prayers to ‘God the Father, God the Son and God the Holy Spirit’. The last named is intriguing! We can, perhaps, more easily accept the role of God the Father, for he is the creator of all that was ever made; he had no beginning and will have no end. He IS, and always will be. His existence lies in infinity – something we cannot understand – but, through faith, again, we know He has the ability to do everything, and to know everything; there are no limits to His powers. We can readily relate to God the Son, for He became man and lived the life of a human on the planet, just as we do. 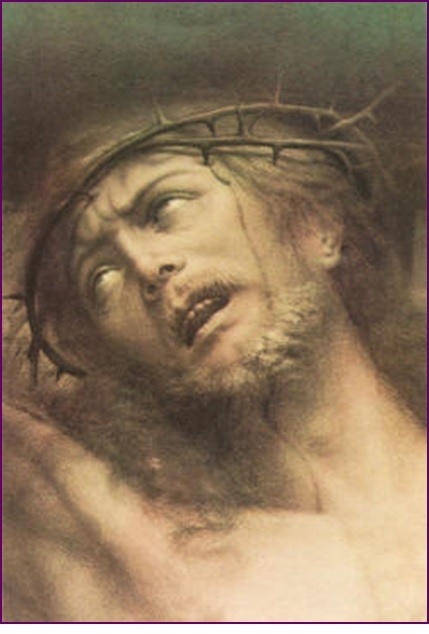 We believe that He suffered and died in a monumental sacrifice for the sins of mankind. We also believe that He rose from the dead and eventually returned to heaven, with a promise to be with us for all time, and to return to us on the Last Day. We then come to the Spirit, and are told that He is the very Spirit of God, that He breathes love and understanding into what we lovingly call the Holy Trinity – three persons – equal, individual, in every way – yet unified in One True God – always and forever. The words of St. Paul remained in my mind for a good few hours and I then decided I would look up the reference. I cannot pretend to understand fully what Paul was driving at. 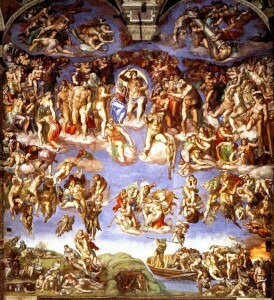 What he was concerned with was to explain that the Holy Spirit is a driving force – profound, and at the very amoebic creation of everything – with infinite understanding of every idea, every thought, every creation that was ever conceived – even to the depths of God the Father and God the Son. He is all knowledge – and hope, and faith, and love. 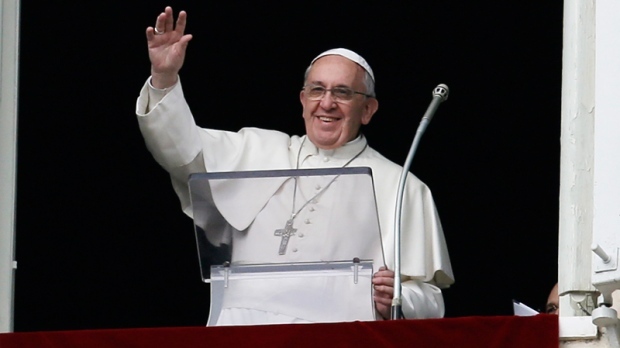 I was still giving thought to these matters – my mind often in turmoil – and sometime later, the same mind turned to Pope Francis and his ‘Joy of the Gospel’, again asking questions as to whether he had any ‘pearls of wisdom’ to help with all my questioning. 279. ‘Because we do not always see these seeds [… seeds referring to Christ's resurrection calling forth new seeds of a new world], growing, we need an interior certainty, a conviction that God is able to act in every situation, even amid apparent setbacks: “We have this treasure in earthen vessels” (2 Cor 4:7). This certainty is often called “a sense of mystery”. It involves knowing with certitude that all those who entrust themselves to God in love will bear good fruit (cf. Jn 15:5). This fruitfulness is often invisible, elusive and unquantifiable. We can know quite well that our lives will be fruitful, without claiming to know how, or where, or when. We may be sure that none of our acts of love will be lost, nor any of our acts of sincere concern for others. No single act of love for God will be lost, no generous effort is meaningless, no painful endurance is wasted. All of these encircle our world like a vital force. Sometimes it seems that our work is fruitless, but mission is not like a business transaction or investment, or even a humanitarian activity. It is not a show where we count how many people come as a result of our publicity; it is something much deeper, which escapes all measurement. It may be that the Lord uses our sacrifices to shower blessings in another part of the world which we will never visit. The Holy Spirit works as he wills, when he wills and where he wills; we entrust ourselves without pretending to see striking results. We know only that our commitment is necessary. Let us learn to rest in the tenderness of the arms of the Father amid our creative and generous commitment. Let us keep marching forward; let us give him everything, allowing him to make our efforts bear fruit in his good time. In the third and final leg of the trilogy, Fr. Frank Johnson takes a close look at the Pope’s pronouncements on the Role of Women in the Church, and The Church in relation to the poor of the world. Both subjects are given special mention in Pope Francis’ ‘Joy of the Gospel’, and, because of this, they deserve special consideration. Please read on. Evangelii Gaudium is a long and detailed document which I would recommend you to read in its entirety. It is a meditation, a call to conversion and deep reflection on the signs of our times. 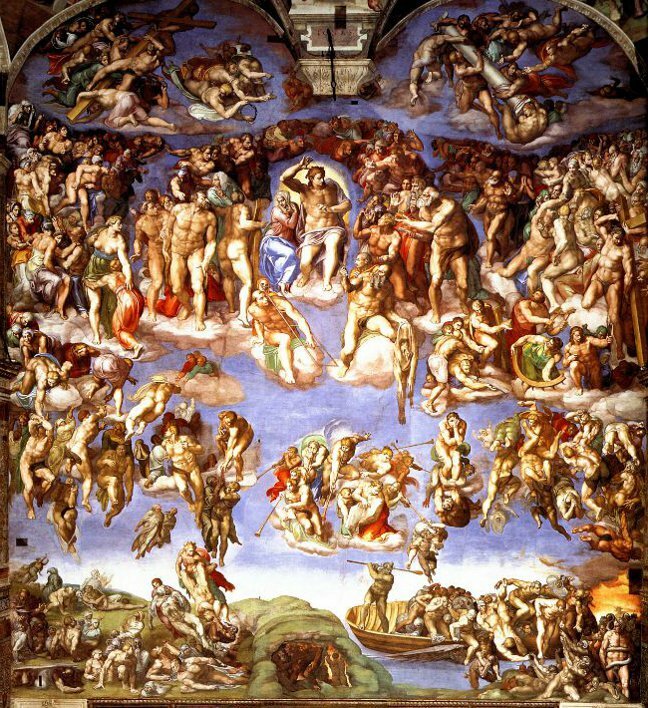 In the second part of the trilogy, Frank Johnson takes us to Pope Francis’ first official document, Evangelii Gaudium and (i) Concentration on What is Most Beautiful (ii) The New Commandment. I commend his analysis to all readers. 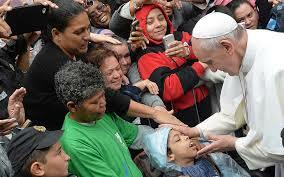 Pope Francis insists that spreading the Good News cannot be done simply through doctrinal formation. He says that: ‘It has to do with “observing” all that the Lord has shown us as the way of responding to his love.’ Along with the virtues, this means above all the new commandment, the first and the greatest of the commandments, and the one that best identifies us as Christ’s disciples: “This is my commandment, that you love one another as I have loved you” (Jn15:12). Clearly, whenever the New Testament authors want to present the heart of the Christian moral message, they present the essential requirement of love for one’s neighbour: “The one who loves his neighbour has fulfilled the whole law… therefore love of neighbour is the fulfilling of the law” (Rom 13:8, 10). These are the words of Saint Paul, for whom the commandment of love not only sums up the law but constitutes its very heart and purpose: “For the whole law is fulfilled in one word, ‘you shall love your neighbour as yourself’” (Gal 5:14). To his communities Paul presents the Christian life as a journey of growth in love: “May the Lord make you and abound in love for one another and for all” (1 Th 3:12). Saint James likewise exhorts Christians to fulfil “the royal law according to the Scripture: You shall love your neighbour as yourself” (2:8), in order not to fall short of any commandment. This week we begin a trilogy – all three articles, you will see – are directly connected with our own, Pope Francis. In the first of the trilogy, Socius describes many of the very human, humble and simple traits of His Holiness, especially those aspects that make him so very approachable, down to earth and a man of the people. 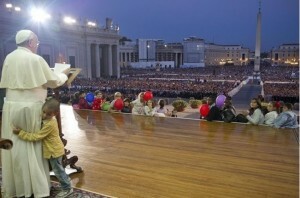 In the second and third parts of the trilogy, focus is shifted to that more serious side of the Pontiff, especially to those aspects highlighted by Francis, himself, in his foundational work, “The Joy of the Gospel”, in which he discloses his thoughts on many matters concerning today’s world, the Church and how these can, and should, relate to one another. It was written for the ‘New City ‘ magazine by a great friend, Father Frank Johnson, who many will recall was ordained at Leyland St. Mary’s some six years ago. I very much hope and trust you will enjoy reading what follows over the next three weeks, and may God bless. Father Jonathan, in his weekly blogs, has often written about Pope Francis and about what a new ‘breath of life’ he is breathing into the Catholic Church – and not just into the church –but into our world of today. Father has, on more than one occasion, drawn our attention to the ordinariness, modesty and humility of Francis, who has been our Pope for rather less than a year. What an impact he has had – and in a very short time. Quite naturally, Father Jonathan has also dwelt on the religious aspects of his personality and the effect these are having on the populations of the world – two populations – one Catholic, the other quite divorced from Catholicity and very much belonging to the non-religious echelons of world society, and here Father has drawn attention to the quite mind-boggling effect Francis is having in terms of his evangelising – bringing a ‘new’ Christ to all of those prepared to accept Him. Certainly, in my view, it would be well nigh impossible to compare Pope Francis with any previous pope – though it may be right to draw attention to the fact that many of his predecessors have brought great and powerful new ideas to the Church’s message to the world; it is, however, right and just to point out their messages were very much in keeping with past traditions, though they may have been breaking new ground. 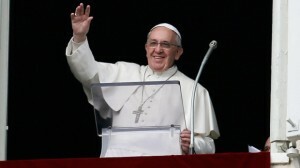 The slight, grey haired man from Argentina, once known to South America, as Jorge Mario Bergoglio, however, has torn up all the many hide-bound ‘do’s and don’ts’ and scattered them to the four winds – and it has not taken him very long to achieve this – bringing with his achievement a complete new idiom. In a newspaper article, published in the Daily Mail, 26 December 2013, Guy Adams, wrote a very interesting couple of pages on the subject of Pope Francis, and, having read the whole of the article, I have to say that I was quite surprised by many of the changes to the papacy that Francis has introduced – as I see it a new wind blowing through the Vatican – and a winnowing wind of change, at that. Seemingly, Pope Francis is not averse to using ‘Twitter’ on the ‘Net’ and on Christmas Day just a few weeks ago, he tweeted: “Christ comes among us at Christmas.” His messages are read, daily, by Presidents Obama, Putin, David Cameron and many other world leaders. Weekly, he draws massive crowds – into the 100,000′s – to St. Peter’s Square to his ‘Angelus’ meetings and to listen to his addresses, charismatic speeches, many times illustrated by colourful public gestures which undoubtedly belong to him, alone. 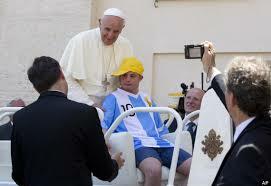 He seems to shun any suggestion of ostentation and shies away from pomp and ceremony, preferring instead to do things in a much more simple fashion – and this even in his public duties at the Vatican. On Maundy Thursday, he knelt to wash and kiss the feet of young offenders – girls – one of them a Muslim. In July, 2013, he invited many of the homeless to dine with him in St. Peter’s Square. 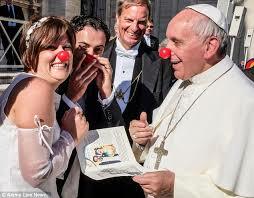 He has been known to put on a ‘red nose’ posing for comic photos with a newly-wed couple. He has been observed to publicly embrace a man suffering from the ‘Elephant Man’s’ disease. He lives in a small, sparsely-furnished apartment, sleeps in a single room, has breakfast in the canteen, together with other guests, pays his own bills, carries his own gear about, refuses to wear the traditional garments of a pontiff – hand stitched, in white, gold and red; instead he wears a simple white cassock, makes his own phone calls, uses public transport, and likes to be seen out and about as an ‘ordinary man. 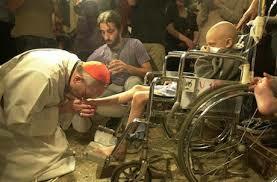 What an extraordinary man he is – what a pope! 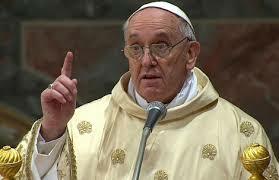 The effect of all this – Pope Francis and his total change of style – has been electrifying on the world’s media. And don’t they just love him! He makes headlines and sells newsprint. He is often on television – all over the world – and again, making the headline news. 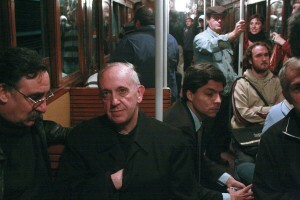 The press – Catholic and non-Catholic – just can’t get over the differences he has brought – and in such a short time. On my part, I am sure that much of this is just his humble persona coming through, and he seems to have no difficulty at all in relating directly to the people, over every nation and faith. But, I am also sure, that there is another much more serious side to all of this – and this has to do with God and his loving provenance. With no previous tradition to guide him, Pope Benedict XVI decides to retire from the papacy, perhaps understandably with advancing years, but without precedent, and this brings the first massive shock to Catholics and the world. The second shock comes with the election of Pope Francis, in March of last year, and what a shock this has proved to be – to all of us – but, not to God. At this point one is forced to ask the question – “Why the complete change?” and all of this without decrying Pope Benedict, and the many pious and holy men holding this highest office, by even one iota. Perhaps, God perceived the need to bring the papacy more into line with modern thinking, modern methods, modern ideas, but without losing any of the Church’s tradition, in terms of faith and morals. We do not know God’s mind and so do not know the answers to some of these questions – only time will tell. Thank God for Pope Francis. In “The Joy of the Gospel” of Pope Francis, there is a section about preaching (sections 134-159). Pope Francis writes the most interesting things which are all for priests. At our Word of Life meeting last Monday, Liliana O Hagan, an Italian lady who comes to us from Eccleston, shared with us her enthusiasm for what Pope Francis says at Mass, or at the Angelus (when 90,000, and more, are present in St. Peter’s Square) or on various occasions. She can listen, of course, directly in Italian and it is easy to find the Padre Pio website, or that from Pompeii, or the Vatican website itself, where anyone can find video footage of what Pope Francis has most recently said. I have on the IPad, that was given me by the St Mary’s Leyland High School, “The Pope App”, and that has the Pope in English, as well as Italian. Luckily Italian is one language I can converse in, and read, so I too can listen to Pope Francis directly. His mother tongue is Spanish, but he speaks a very good Italian, being born into an Italian Argentine family. The Church is a mother, and she preaches in the same way that a mother speaks to her child, knowing that the child trusts that what she is teaching is for his or her benefit, for children know that they are loved. Moreover, a good mother can recognize everything that God is bringing about in her children, she listens to their concerns and learns from them. The spirit of love which reigns in a family guides both mother and child in their conversations; therein they teach and learn, experience correction and grow in appreciation of what is good. Something similar happens in a homily. The same Spirit who inspired the Gospels and who acts in the Church also inspires the preacher to hear the faith of the God’s people and to find the right way to preach at each Eucharist. Christian preaching thus finds in the heart of people and their culture a source of living water, which helps the preacher to know what must be said and how to say it. Just as all of us like to be spoken to in our mother tongue, so too in the faith we like to be spoken to in our “mother culture,” our native language (cf. 2 Macc 7:21, 27), and our heart is better disposed to listen. This language is a kind of music which inspires encouragement, strength and enthusiasm. 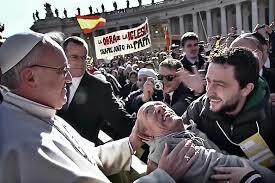 Pope preaching with a young boy clinging to him. To me, our “Mother Culture” would mean our English way of doing things. I came across a beautiful homily preached by the Archbishop of Canterbury. Justin Welby. last Sunday in Sandringham, in the presence of the Queen and the Duke of Edinburgh. I reproduce a little of it below to give a flavour of it. Archbishop Justin Welby with the Young Royals. Usually unseen, churches of all sorts love and serve with vigour and passion, and while doing so are clear about their faith in Christ that motivates their action. That motivation starts for all of us with prayer, and also for the church as a whole with a renewal of what is called Religious life. Unless we are deeply prayerful and full of love from and for Christ, we are rotary with a pointy roof. Rotary is good but we are a church. In prayer we meet Christ, we listen first (St Benedict starts his Rule with the word “listen”), and are forgiven, renewed, empowered, directed, comforted. The Religious or monastic life has been the bedrock of the church since the fourth century. Christians living in communities, in different ways, with the aim of encouraging a closer walk with Christ, have set the pace for all Christians everywhere. This last week we have begun a Religious community at Lambeth Palace, from a Catholic religious order called Chemin Neuf. 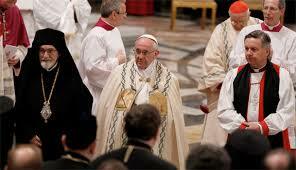 They are ecumenical and modern, traditional and disciplined, they will hold us to our commitment to prayer. Secondly, the church must learn good disagreement. Christians will never all agree on everything, they never have. That is true for the Church of England, let alone the Anglican Communion in 145 countries. Christ does not command unanimity, but love and unity in diversity. St Paul says God reconciled us to Himself when we were his enemies. So we must be reconciled to each other in love. The command of love, even for enemies, flowing out of God’s reconciling love for us, is hard. In South Sudan and the Great Lakes region of Africa this coming week, my wife and I will see it at its hardest. But it is the Anglican Archbishop of the Sudan who is leading the work there, and his equivalents across the region, setting the example of courageous love. That is what has distinguished Christians across the centuries. So as individuals and the church we need to be reconciled to God through Christ, to each other in the church, and to be reconcilers in all sorts of conflict from domestic and local to multinational. How we do that is varied and complex, but above all it is by action in the love of Christ and the power of His Spirit – not in fine words alone. Thirdly, we must renew our confidence in proclaiming the good news of the love of Christ for every human being. Making disciples is at the heart of our mission. We must not be ashamed of talking about numbers, or of making the effort to speak of as well as show the good news of Jesus Christ. Paul appeals to the Christians of Corinth “by the name of our Lord Jesus Christ” to be in agreement, so that divisions will not reign among them, but rather a perfect union of mind and purpose. The communion for which the Apostle pleads, however, cannot be the fruit of human strategies. Perfect union among brothers and sisters can only come from looking to the mind and heart of Christ (cf. Phil 2:5). This evening, as we gather here in prayer, may we realize that Christ, who cannot be divided, wants to draw us to himself, to the sentiments of his heart, to his complete and confident surrender into the hands of the Father, to his radical self-emptying for love of humanity. Christ alone can be the principle, the cause and the driving force behind our unity. “Let us pray that he will help us on this path, on this path of unity and of love, as we advance towards unity”. Unity will not come about as a miracle at the very end. Rather, unity comes about in journeying; the Holy Spirit does this on the journey. If we do not walk together, if we do not pray for one another, if we do not collaborate in the many ways that we can in this world for the People of God, then unity will not come about! But it will happen on this journey, in each step we take. And it is not we who are doing this, but rather the Holy Spirit, who sees our goodwill. The heading above may seem a little strange for this blog, for, first of all I want to talk a little about man’s recent successes with the ‘Rosetta Space Probe’. 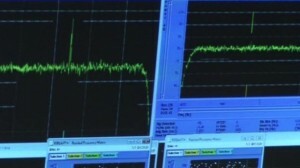 Just a few days ago, it was announced on the news that scientists at the Control Room in Germany had sent a ‘wake up’ signal to the probe, in an attempt to bring it out of its 31 months’ hibernation. Rosetta had been put into a deep sleep, in June 2011, to allow it to conserve power, in readiness for its August 2014 meeting, in space, with a comet – the Comet 67P/Churyumov-Gerasimenko. Would the signal bring ‘Rosetta’ out of its reverie? Everyone waited with baited breath, then 45 minutes later, Rosetta signalled it was awake. Launched from earth in 2004, ‘Rosetta’ has been speeding at mind-boggling speeds outwards and towards this small comet, which is measured at only 4.5 kilometres wide. The comet’s orbit around the solar system describes a very large ellipse, so that at times it has been at maximum separation – millions of miles from the sun. 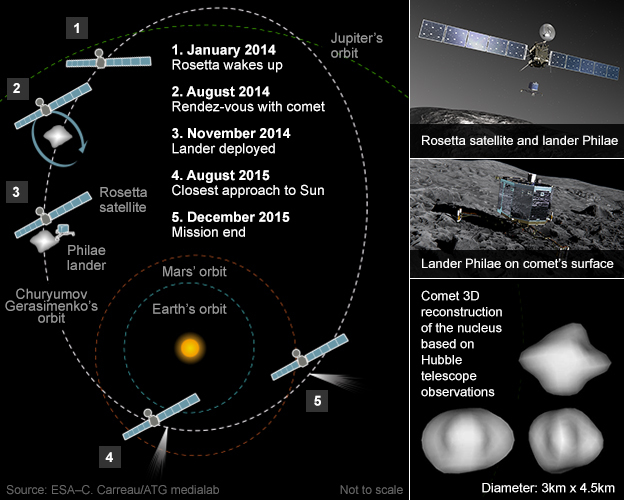 In August of this year, its orbit will be at minimum distance, and so the planning is that, at that time, ‘Rosetta’ will rendezvous with Comet 67/P, and in November, 2014, it will attempt to land a small Philae lander on the surface of the comet. When things begin to happen in a few months time, it will be a time-consuming and very complicated process, as commands between the controllers and the probe will take 45 minutes to travel one way – an indication of the huge distances involved. From March until the end of April, the instruments will be switched on, one by one – all of them will have to be checked, and, in some instances, their controlling soft-ware will have to be updated. 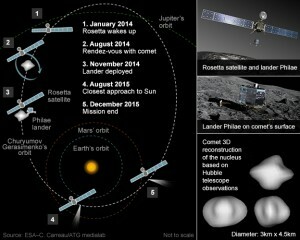 Beginning in May, this year, the probe will start to fire her thrusters, so that it may then target Comet 67/P – but again the distances between the two – probe and comet – will be varying enormously. Today the separation is as much as nine million kilometres, whereas in November, when the Philae lander will be deployed, the distance will be as small as 10 kilometres. The probe has made a very circuitous route to its target – having passed through the orbits of several planets on its ways. In doing so it has been constructed to pick up energy from those orbits to help it on its way and to enable it to complete its mission. In its journey it has passed by the ‘Steins’ rocks (2008) and ‘Lutetia’ (2010), sending back a great deal of information about these space bodies – and their origins – in so doing. Eventually, it is hoped that Rosetta will follow the comet as it moves closer to the sun; if successful, it will be transmitting information on changes that take place in the body of that comet, whereas the Philae lander will report any changes taking place on the surface. Comets are thought to contain materials largely unchanged since the solar system was formed 4.6 billion years ago. Samples of the chemical and physical composition of the comet should enable scientists to begin studying changes that have taken place over time, and, ultimately, how, when and where, the comet was formed; they will also tell of its journey through time as the Solar system has developed and about our Sun itself. “Science, in general, catches the public’s imagination. In general, we try to find answers to fundamental questions, such as where do we come from, what will be our destiny and will we have to stick to this planet? In my book, all this is very interesting, but it also raises a number of very important questions, mentioned, in passing, by Mr Reiter. I am left stupefied by the time-distances involved, by the enormity of space, of the stars and their life-spans – never mind what actually happens when one finally implodes and disappears for ever. I am left mind-boggled by our galaxy and all that it involves – never mind how many other galaxies there are, and this we do not know. And limitless space – how big is that? I am left ‘floored’ by the question of just how great all this must be – how complex – how ordered – how sustained, and by questions as to how this came to be and, what will happen to all temporal life, come the end of the world? At lunch with a friend the other week, we got to discussing space exploration and the problem of under-developed countries. India came to mind, and we talked about the ethics of sending rockets into space (and the costs which must be counted in billions), when millions of the ordinary population are starving. My friend then posed the question as to whether there are other planets on which beings, like ourselves, live and survive. He suggested that it may be possible that such other beings could be far more advanced than we humans, and, using their much greater technologies, they could, at some time, decide to visit us. When they came, what would their reaction be, and would they view us as animals and potential food? The third important question asks whether space exploration is of any great benefit to the ‘ordinary man in the street’. Could not these vast sums of money be better spent on looking after the poor, the sick and disadvantaged? These are big questions, important questions, and, in many cases, there are just no solutions. The acceptance of all the multi-advances that have taken place in science and technology, over centuries – accelerated greatly, it must be said, in recent decades – ends in a double-edged judgement: on the one hand, they have brought many, many improvements to our way of life: on the other, many would agree, that not all results have been positive as regards their final ‘cost-benefit’ analysis. In many cases, perhaps, it has been a case of ‘one step forward – two steps back’! Many great minds have gone though life, wondering, and searching for answers to the great mysteries – the great unknowns – that concern Rodin’s ‘thinkers’ and many ordinary people who concern themselves with life and the environment in which we exist. But, in all truth, we must then turn our attention in quite another direction and say, really, there is no need for us to worry. God has all this in hand – and has had since before time began. Moreover, He has promised to be with us always. All life is constantly changing, and in many instances, we have little or no control over the changes that come about. What does not change – and He is eternal – is God. His name, in the Bible, is often given as ‘I AM’, meaning that He was always in existence, the power over all. There never was a time when God was not there – something we cannot understand, since our reasoning is finite (and fallible). 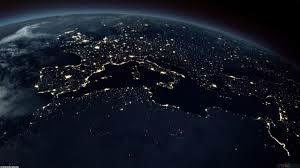 All the wonders of space – all those that science and exploration are now revealing – have been there for eons – long before humanity – long before life in all its many forms, but they are as yesterday-born compared with God and his timelessness. He is the first cause, the first mover; it is He who controls; it is He who designs; it is He who sustains it all in being; it is He who is first and last. Many, I know, will say, the existence of God cannot be proved, and I have heard it said of some, that to those who refuse to believe, no proof is possible. To those who believe, however, no proof is necessary. Faith is a great gift of the Spirit of God – and what would we do, those of us who believe, without it? Jesus never needed to boast about himself, or to manipulate others, to accept his way of thinking. At his baptism, by John, in the river Jordan, the heavens opened, the Spirit was present in the form of a dove, and the voice came from heaven, because Jesus was a fully human being, in whom the Father was well pleased. When any disciple is fully content with whom he, or she, is – happy being that person, warts and all – then he, or she, has achieved the fullness of being human, as man or woman. In Jesus, God is also well pleased with each of us who are his disciples, because, in Him, we become as fully human as we are meant to become; we also become as fully ‘god-like’ as we are meant to become. Recently, we have had a spate of funerals for people closely involved in our Parish. In their own individual ways, they had achieved, for themselves, their full potential, and God took them to himself, much to the sadness of their friends and relatives. On another previous occasion, this blog carried some comments about parishioners who had died, and people remarked how much they enjoyed reading about those who had died – people whom they had not known, personally. With this in mind, I now have the temerity to write, once again, about some who have died in the past three months; in doing so, I hope to share something about what God has done, in them, hoping that this might encourage we that are left behind, on our continuing holy journey of life. The last time Sylvia fell ill, I received messages that she was in Chorley hospital. She often sent messages when she wanted to see me, and often that was for me to hear her confession. In the event, life was pressing on me then, and I knew she had such strong faith that it did not really matter which one of us priests would go; at that time, Fr. Stephen went to visit, and when he returned, he said to me: “What a marvellous person is Sylvia”. I just nodded, because I knew that to be the case. Sylvia was very happy with that visit. When she was eventually released from hospital, I got another message: “Tell Fr Jonathan not to come as I am not well enough yet for him to come and see me!” Actually, her great friend had been Fr. Ambrose, (Bishop Ambrose we should call him – then not as Parish Priest, but here in Leyland for his second stint. He was then retired after his 12 years as Bishop of Hexham and Newcastle, still carrying out wonderful work, throughout the last 7 years of his life, helping people here in Leyland, (including Sylvia, to whom he ministered so well and kindly). 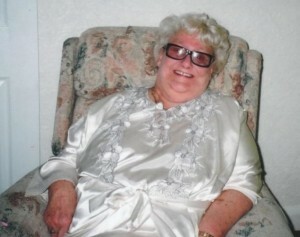 Sylvia had been a nurse, very involved in the district, and she ran a nursing home, nearby Preston. She was very practical and efficient, and was one of a group of parishioners who nursed, voluntarily, two dying Ampleforth monks of Leyland, in the Leyland Priory House. First was Abbot Herbert Byrne, who died in 1978, and then came Fr. Kenneth Brennan; he died in 1986. She was excellent at her task. Sylvia had many sufferings to face in life, but was never down-hearted. Her most obvious suffering, in the latter stages of her life, was her blindness, but this was coupled with a weak heart. Overall, she simply made the best of it, and was always welcoming to all who came to her. She had other sufferings to bear – some of them even harder to carry – but, she bore them all, with the same spirit. At her funeral, her one remaining son, Chris and his son, Roger, had come over from Australia to be present. They chose the readings and the Gospel was The Beatitudes (Matthew 5: 1-12). Should you ever want to find a description of a good Christian, I suggest you take a look at Sylvia, her poverty of spirit, her gentleness, her mourning for so many things, including the death of her two sons, David and Michael. She also lost Cob, her first husband, and then found Danny, and they married each a second time. Danny’s wife, Evelyn, had also died; she had been Sylvia’s best friend. She hungered and thirsted for what is right, as far as she could; she was so merciful, pure of heart, and a peacemaker; it is probable, in some senses, that she was persecuted in the cause of right. And so, I thank God for her; I thank God that many of us, in the parish, have known her and learned from her, just by knowing her. Alex Stirzaker was a most likeable fellow. He died in the last week of the liturgical year, on the feast of Christ the King, 24 November 2013. I always knew him as cheerful and friendly – and one could count on that attitude. He would never, just walk by, knowingly, and always had a pleasant word to say. Alex was a man who displayed contentment, and, I would suspect, for most people, this would be the way he was. No wonder, then, that he was such a good husband, father and grandfather. Loving is the heart of the Christian Life, it is what we are made for, as human beings, and being a loving person is such an attractive quality. In his manly way, surrounded by Barbara, his wife, and the five girls, all of whom have left the nest and are married with their children, Alex simply was a lovable, person because he was so loving. Alex was a good friend of God, and for this reason, he was so likeable. A convert to our Catholic Church, his mother said to him when he told her of his intention: “Well, if you do become a Catholic make sure you become a good one!” This he did. 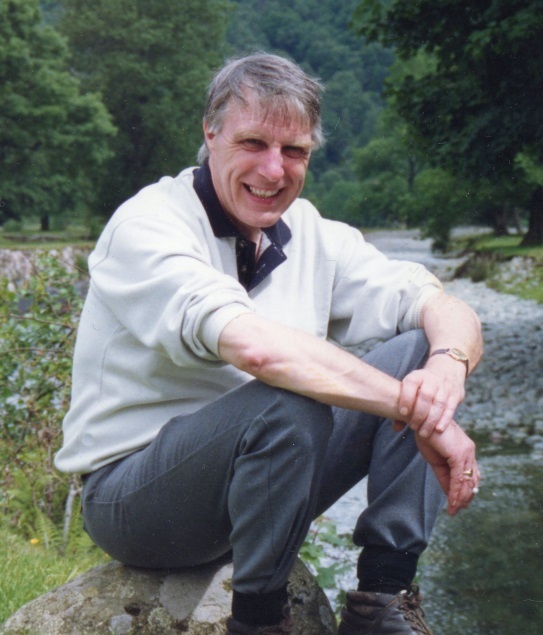 He was a life-long supporter of Preston North End, and the last thing Alex said to me, as I was leaving his home after sharing with him the sacraments, a week or so before he died, on a Saturday afternoon, was a shout from the bedroom: “Fr. Jonathan! !” So I went back into the house, and he told me that PNE had scored a goal, and were ‘one up’ against Leyton Orient. Not bad! When playfully asked, by his wife, why he had called me back just for this, he said: “Fr. Jonathan is interested.” I was indeed! Alex was ‘outside himself’ as ever even when he was really seriously ill! I loved hearing about him, from his eldest daughter, in her appreciation of dad at his funeral, how he would play for hours with his grandson, especially football. Only a wise man knows how to play, both with his children and grandchildren. He leaves a huge hole, in the lives of his family, and many others miss him, too. Frank was a ‘reserved’ man and a very good engineer. He knew God; he loved God, and his neighbour, despite all difficulties. 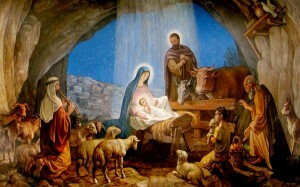 He died before Christmas and was buried after the Feast of the Nativity – a very homely time. The Spirit of God was with Joseph and Mary; the Spirit of God is with us too. John the Baptist saw the Spirit falling on Jesus at Jesus’ baptism: and in his photograph, above, we see the Spirit of God falling on Frank – in his openness – in the frankness of his smiling face, at that moment. This was typical of him. Our religion is not one to follow an idea, or an ethical system or a wonderful dream about a perfect life. Our religion is one which is based on events that happened, and because of those events, we believe in the person, who was involved with them, Jesus Christ, our Lord and Saviour. The events that marked Frank’s life follow on, now, and it is through Frank’s response to these events – events that marked his life, in faith and love – that he was able to become the person we knew and loved. Frank was born in 1938, and was the only child of Francis and Ellen, of Leyland. Frank had two older brothers, both of whom died in early infancy; to add to the tragedy, his mother passed away when he was only three years old and so it was decided that Frank should be brought up by his father’s sister, Teresa, (who he called mum), and her husband, Jim Durrigan. Teresa and Jim also had four children; Frank was raised, happily, with them, until early adulthood, whilst staying in regular contact with his father, Francis. 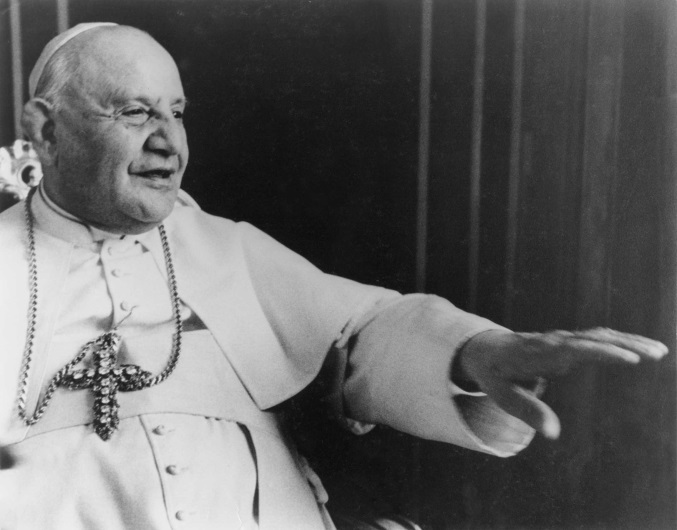 He attended our Parish Schools, here in Leyland, and was simply a young Catholic Leyland lad – growing up. At the age of 12, Frank was sent, as a boarder, to a seminary in Hampshire, where he remained until the age of 16. On returning home in the summer – in his words: “He discovered girls” and was destined not to return to the school in Hampshire. Finding a completely new and different direction in life, he became an apprentice engineering machinist at Halsteads Engineering in Leyland, and here, a life-long interest (some would say obsession), in all things mechanical, was nurtured. At the age of 18, his love-life definitely moved in the right direction, when he met his future wife, Pat, at St. Marys Leyland Youth club; they were married four years after this meeting. However, his call to National Service meant they were soon to be parted, as Frank then spent much of the coming two and a half years in Germany. (At the height of the ‘Cold War’, National service was extended by 6 months, from the standard 2 years.) On returning to ‘Civvy Street’, Frank was forced to look for a Job, and this he found at Iddon Brothers. Serving Iddon Brothers for the rest of his working life, Frank climbed the ladder, from Machinist to Production Director. He loved his job, but was never happier than when he was surrounded by his family, extended with two daughters-in-law and three grand-children. His involvement in the Boy Scouts’ Association grew, as both sons, Michael and Peter, became members, Frank eventually finding himself Scout Leader. Franks ‘other love’, (apart from Pat and Iddon Bothers), was his yellow MG; bought as a ‘runner’, he spent 15 years improving ‘her’, with the minimum amount of money spent – it was a lesson in budget motoring! In recent years, Frank became one of the inaugural members of the South Ribble Catenian Circle, where he, and Pat, forged new friendships and a busy social life. 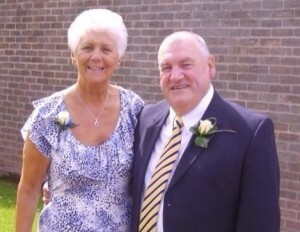 The Society has been a source of strong support, to Frank and Pat, during his protracted illness, when God released him from his suffering and took him home to heaven. During 53 years of marriage, Frank left his family, and friends, many happy memories. His legacy has been to raise a family that love him, and will sadly miss him, but remember him with smiles on their faces. A very Happy New Year to everyone. The first day of January each year is always a World Day of Prayer for Peace. Pope Francis gave a very straight-forward message about peace at the Angelus in St Peter’s Square today – the Square being packed, as usual, with 90,000 people. We religious, diocesan priests and many laity frequently recite the quite wonderful canticle in the letter to the Ephesians (Chapter 1, vv 3-10). We did so yesterday, the first day of January. After praising and blessing God: “Blessed be the God and Father of our Lord Jesus Christ, who has blessed us in Christ with every spiritual blessing in the heavenly places”, the canticle goes on to explain how we who belong to Jesus, in baptism, have been chosen before the foundation of the world, to be the sons and daughters of God, in Jesus Christ. Jesus has redeemed each of us in his precious blood, but then the canticle goes on to say even more: “He has made known to us in all wisdom and insight the mystery of his will, … His purpose he set forth in Christ as a plan for the fullness of time, to unite all things in him, things in heaven and things on earth”. The plan is the same as that of Peace Sunday: for where all things are united in him, there is peace and universal fraternity. There could be no more war, because we will know that to harm, or kill, another is to harm, or kill, our own brother or sister. There is a clear purpose in life: it is to live for unity, within myself, in my family, in my work place, within divided Churches, that could be divided, in themselves or among the Churches, with people of other faiths, with people who have no faith. It is an ideal that gives life a purpose. There is a reason to wake up, and get out of bed, each morning! In his Apostolic Exhortation, ‘The Joy of the Gospel’, Pope Francis writes about rejecting, “sterile pessimism”. [84.] The joy of the Gospel is such that it cannot be taken away from us by anyone or anything (cf. Jn 16:22). The evils of our world – and those of the Church – must not be excuses for diminishing our commitment and our fervour. Let us look upon them as challenges which can help us to grow. With the eyes of faith, we can see the light which the Holy Spirit always radiates in the midst of darkness, never forgetting that “where sin increased, grace has abounded all the more” (Rom 5:20). “At times we have to listen, much to our regret, to the voices of people who, though burning with zeal, lack a sense of discretion and measure. In this modern age they can see nothing but prevarication and ruin … We feel that we must disagree with those prophets of doom who are always forecasting disaster, as though the end of the world were at hand. In our times, divine Providence is leading us to a new order of human relations which, by human effort and even beyond all expectations, are directed to the fulfilment of God’s superior and inscrutable designs, in which everything, even human setbacks, leads to the greater good of the Church”. Pope Francis is even stronger as he goes on in “The Joy of the Gospel”, that Christian Joy can overcome that feeling of being left ‘deserted’. [86.] In some places a spiritual “desertification” has evidently come about, as the result of attempts by some societies to build without God or to eliminate their Christian roots. In those places “the Christian world is becoming sterile, and it is depleting itself like an overexploited ground, which transforms into a desert”. In other countries, violent opposition to Christianity forces Christians to hide their faith in their own beloved homeland. This is another painful kind of desert. 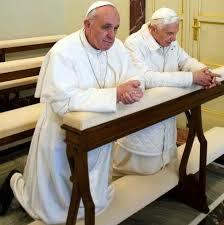 But family and the workplace can also be a parched place where faith nonetheless has to be preserved and communicated. “… it is starting from the experience of this desert, from this void, that we can again discover the joy of believing, its vital importance for us, men and women. In the desert we rediscover the value of what is essential for living; thus in today’s world there are innumerable signs, often expressed implicitly or negatively, of the thirst for God, for the ultimate meaning of life. And in the desert people of faith are needed who, by the example of their own lives, point out the way to the Promised Land and keep hope alive”. It would be the subject of another reflection, to consider how joy overcomes pessimism, a pessimism that is very deep in some Christians. Let us trust that it can be done!